How many times have you drunk a liter (or four cups for that matter) of coffee just to stay awake and study for tomorrow’s exam? Probably a couple of times, at least, because every student uses coffee to boost the energy and prepare for a certain exam. The bad side of it comes when you drink lots of coffee and then you experience headaches, arrhythmia and high blood pressure. Therefore, nature has offered many different alternatives to coffee, which potentially has better effects on your concentration, yet lack the serious and concerning side effects present with coffee. An excellent example of such an herb is called Yerba Mate which became more popular recently as a much effective drink than coffee. This great natural nootropic herb, similar to coffee, is also a natural caffeine source, but the caffeine boost is stable and smooth when compared to coffee, which has much frequent crashes and peaks that promote the caffeine side effects. Yerba Mate is most commonly used as a coffee-like nootropic alternative which increases vigilance and alertness, yet offering a positive stress-free mood. Different reviews state that it helps an individual to achieve mental clarity for a longer period during work or when studying. This plant originates from South America’s subtropical areas such as Brazil, Argentina, Uruguay, Paraguay and Bolivia. The drink made from this plant has been used as a nutritional supplement, similar to coffee, and is still used as a drink in many European cultures. The taste of this herb is similar to the taste of green tea and it is also available in combination with many flavored extracts, to hide the bitter taste of flavonoids which this plant is full of. Yerba Mate consists of various nutrients such as selenium, magnesium, inositol, vitamins A, B1, B2, B3, B5, C, E, fatty acids and a complex of antioxidants, ready to boost your immune system and maintain your health. Yerba Mate has a couple of known mechanisms and effects in that it works similar to green tea. Its main characteristics are that it acts like a cognitive enhancer and it stimulates the central nervous system, like caffeine. Important ingredients which support this mechanism are antioxidants, polyphenols, vitamins, amino acids, and minerals. 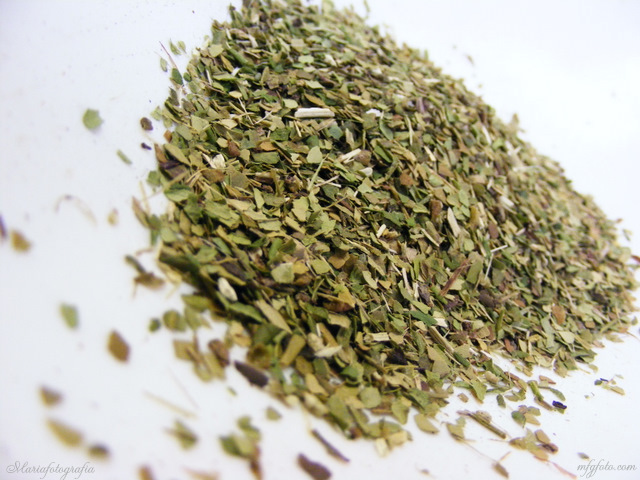 This herb helps maintains one’s health, including the cognitive functions of the brain. Another mechanism which is supported by numerous studies is its influence on the energy-related systems which complete the cellular function and metabolism. This results in higher concentrations of ATP, the main source of energy for a cell. It also acts as a vasodilator and helps the blood vessels to dilatate by relaxing the muscles. The dilatation of blood vessels improves the blood flow and the general cardiovascular functions. Probably the most important benefit of Yerba Mate is its antioxidative activity. The main components of this herb are antioxidants and when compared to different varieties of green tea, it contains 90% more antioxidants. The significant boost of the immune system helps the removal of harmful free radicals, preventing them from damaging the brain and body. Because the brain produces a lot of energy thanks to its function, this organ is the most sensitive when it comes to free radicals. Yerba Mate prevents the effects of free radicals and it detoxifies the brain cells as well, preventing many types of cancer in your body and slows the aging process. It has nutrients such as vitamins, antioxidants, minerals, amino acids and polyphenols that enhance the ability to focus or concentrate. These Yerba Mate nutrients will give the balancing effect. The nutrients will increase the clarity and mental energy without additional side effects that caffeine normally brings. Additionally, this herbal nootropic supplement reduces anxiety, insomnia, and stress for many individuals. When it comes to physical endurance, Yerba Mate works on this field as well. It helps the metabolism of carbohydrates, which is essential for body energy and the loss of unwanted calories from your body depot. It affects the levels of lactic acid, which benefits the muscles and prevents pain after the workout, speeding up the recovery time. When it comes to Yerba Mate and its recommended dosage, there is very limited information regarding its proper daily uptake. However, scientists advise that drinking this herbal preparation should be done in moderation, since taking abnormally high doses may have the potential to lead to the appearance of some types of cancer (at least that is the theory). Even though antioxidants prevent the cancer phenomenon, these chemicals promote oxidative action in the body when administered in higher concentrations, so it is recommended not to go overdrive with the use of this nootropic. It is better to consult your medical professional before you decide to use this natural nootropic for the first time. The proper dosage depends on one’s personal reasons for taking these supplements, as well as on several factors which should be considered, including how it is supplemented and any other supplements being taken in combination. If you take Yerba Mate as a tea, it is recommended to take only 1-3 cups per day. On the other hand, if you are taking it as a supplement, once per day of 500 mg is the recommended dosage. When taking other polyphenols and caffeine supplements and drinks, it is recommended to lower the dosage of Yerba Mate. Every manufacturer that sells this herbal preparation has the recommended usage on the package, so the following of such instructions is highly recommended. Even though this herbal preparation is much better than coffee when it comes to side effects, it still has some issues which should be avoided when using this herb to prepare drinks. Some rare side effects may include stomach upset, vomiting, nausea, nervousness, insomnia, increased heart rate, headache, ringing in ears, and restlessness. If this supplement is consumed in higher doses, these side effects are more likely to occur, so in this case you should seek an advice from a medical professional. As always, stop use of any supplement when unpleasant side effects occur and seek the cousel of a medical professional.